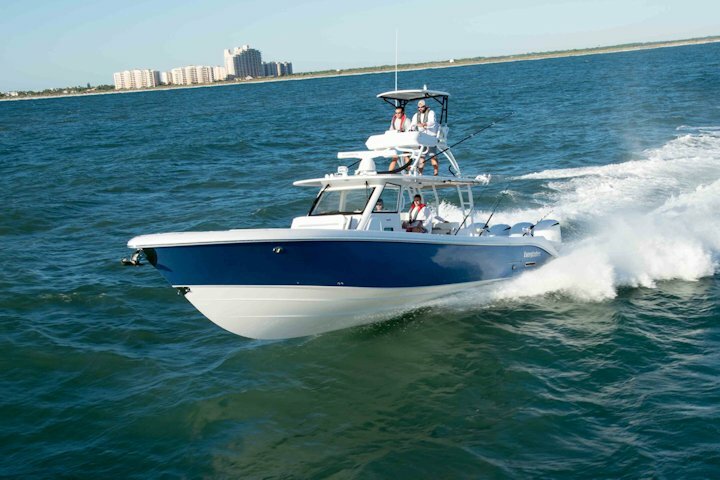 Take a complete 360 immersive walk through virtual tour of the Everglades 435 Center Console. At Everglades Boats, we're in the business of manufacturing dreams. Now introducing, our newest addition to the Everglades family - the 435cc. Our largest vessel to date, the 435cc is proof that sometimes, size does matter. With a luxurious cabin, plush seating, custom etched-glass partition, and fully equipped head with standing shower you'll have all the amenities of home with the functionality you've come to expect from us.